Sweden recognizes Palestine: Biggest country in Western Europe to do so. 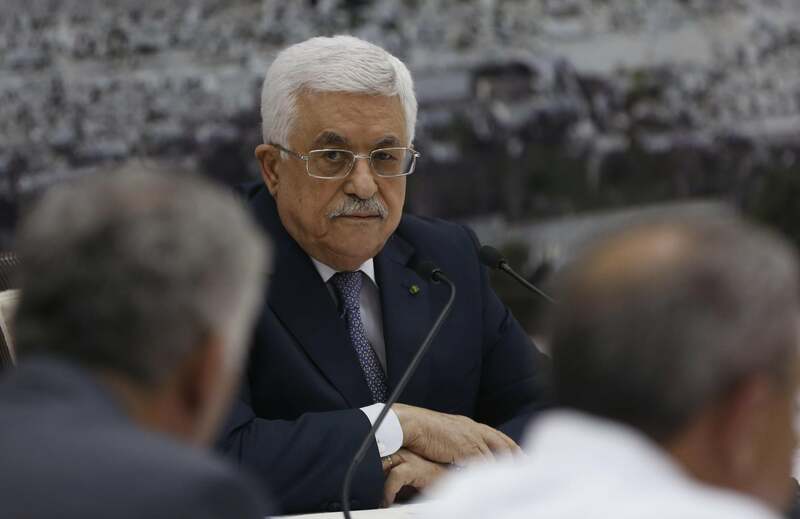 Palestinian President Mahmoud Abbas in the West Bank city of Ramallah. However, during a debate of the Swedish parliament’s foreign affairs committee on Monday, Loefven said that recognition of Palestine as a state was going to happen shortly. On Wednesday Israel discovered that recognition was to be bestowed far earlier than expected. Sweden’s foreign minister published a piece about the decision today in the Swedish publication Dagens Nyheter. Sweden’s goals, she says, are to support moderate Palestinians within Palestine, give leverage to the country in its negotiations with Israel, and give “hope and belief” to Palestinian youth that it will be possible to attain an ultimately satisfactory agreement with Israel without the use of violence. Click here to see a map of the 130 countries—which constitute most of South America, Africa, Asia, and the Middle East—that now recognize Palestine. Among European Union member nations (Sweden is one but Iceland is not), Slovakia, Poland, and Hungary also recognize a Palestinian state.